In order to get the absolute best performance & sound quality from your amplifier it is very important to know exactly how to properly tune an amplifier. The most common misconception of tuning an amplifier is that the settings are intended to ‘give you the most power output’, this is not the case. This article will break down exactly what each common setting on an amplifier does and how to properly tune those settings. For this example we are going to use the DC Audio 7.5k as an example. Onboard, it has the most common settings found throughout the market. The names might be a bit different, but they do the exact same thing, more on that later. Moreover, this article will cover each setting Right to Left – use the picture below to follow along – ending at the Gain, which is easily the most important setting of them all. The Master/Slave Switch is ONLY ever used when “Strapping” the amp with another identical-twin amp (i.e. Same Series, Model, etc..). Stay tuned for a future article on how this is done, But for this explanation we are assuming ONE amplifier one, so this switch must stay on MASTER. What does “Slave” do? Stay tuned for the explanation on “Strapping”. The job of the phase setting is to do one thing: change the polarity/direction of the sub(s) being ran off the amp. The most common reason why you would want to use this setting is when you have an ‘inverted’ subwoofer*. You could, however, just as easily swap the polarities of each terminal and accomplish the same thing. Another reason why you would use the setting is if you have two drivers & two amps (one per driver), and one is “Out of Phase”. This means ONE driver is playing OUTWARD (away from the enclosure) and the ‘Out of Phase’ driver is playing INWARD (into the enclosure). What happens in this case is , in theory, the two sound waves coming off the driver cancel/eliminate each other, giving a very undesirable result. So when you hear someone say the driver is “out of phase” THIS is the go-to setting to try to fix that. Beyond that, rarely can an audible change be actually heard, but there are more variables beyond just the setting that will make a change. To utilize the absolute most volume of the enclosure. 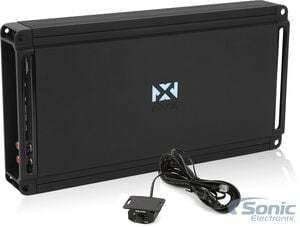 Without a subwoofer displacing the air within the enclosure you have FULL use of that space. Because it looks cool. Yes, really. Low Pass Filter.The LPF can be thought of as a “Ceiling”. The LPF will not allow the frequencies above where you set it to pass through. Technically speaking, there is a “Roll Off”, the LPF isn’t just a ‘wall’, but we won’t get into that here. The setting is intended to ‘filter out’ frequencies that which the driver – in this case a subwoofer – cannot play and/or will harm the driver if it does so. There isn’t a “right way” to set this, there is only the way the setup is configured and also what the limitations of the driver are. Consider this, however, if the Full Range stage of your setup (i.e. Door Speakers) for some reason are incapable of playing below 120Hz , then you want the subwoofer to pick up at 120Hz; so the LPF will be set at 120Hz! This is because you wouldn’t want your sub Playing 80Hz and Down, then your Full Range Playing 120Hz and Up, because then you will have an inaudible gap between 80Hz-120Hz (i.e. Dead Space). For all intents and purposes we suggest to stick 80Hz; this will make sure all ‘mid-range’ is filtered out, and its often the most easily recognizable crossover point. Unfortunately, Most Amps do not tell you where a specific crossover point is , so you definitely need to ‘Eye Ball’ it. An overlap of frequencies – Sub vs Full Range – isn’t a “bad thing”, but for those who want the “Perfect Setup” you will have to have the right tools to hit the points you want. The only way of doing this is with the use of a Crossover Calibrator; we use the SMD CC-1 in our installation department to hit these points accurately. 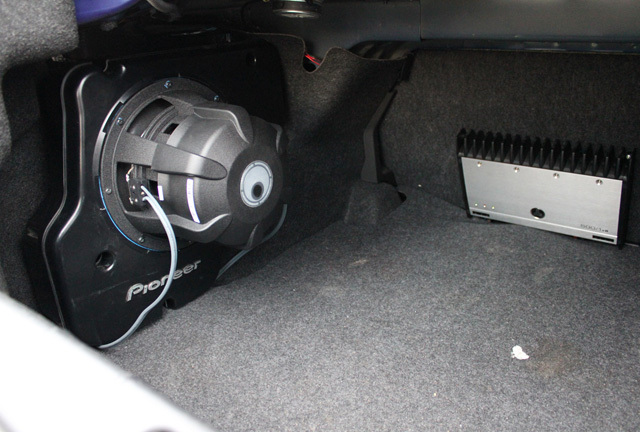 The latter only ever happens when the Full Range completely over powers – or “Drowns Out” – the subwoofers’ outputs. In order to “balance” the setup, you go to the Bass Boost to give the output a bit more output. THIS ISN’T A VOLUME KNOB!! You are toying with introducing a distorted signal if this setting isn’t used responsibly. Use at your own risk. For all intents and purposes think of the Subsonic as a HPF (High Pass Filter), the ‘opposite’ of the LPF, or as a “Floor”. The Subsonic will not allow the frequencies below where you set it to pass through. Like the LPF, this setting is intended to ‘filter out’ frequencies that which the driver – in this case a subwoofer – cannot play and/or will harm the driver if it does so. This setting is often established by the limitations of the driver. For example, the NVX VCW104 has a frequency response of 20Hz-220 Hz, which means it is physically incapable of playing below 20Hz. This tells us that if we want to protect the driver, we should set the subsonic to 20Hz. Many in the industry will say that the ideal setting, for this example, would be ~25Hz because “just because its capable of doing 20Hz doesn’t mean it Should”. The often cited analogy is “your car Redlines at ~7,000 RPMs, that doesn’t necessarily mean you SHOULD ride the engine at 7k just because it can”. Nevertheless, in a properly tuned setup, and with an able/responsible user, there is very little concern for setting this point to the limitation presented by the driver. This is NOT a volume control!! Whatever you want to call this setting, it is intended to do One thing and that is to match the sensitivity of the source/headunit. So, in theory, if your headunit provides a solid 5v out of the preouts, then the Gain (Sensitivity, Level, Input Level, Sensitivity Input, (V)) will match that when set properly. Due to several variables it is more likely that it is not going to match EXACTLY (i.e. at 5v) but it will come fairly close. Unfortunately, without special tools or an oscilloscope it is very hard to get this “Right”. It isn’t impossible to set this without special tools however. In fact, most installer set up their customers’ amps by ear! This will be the most common method you – the reader – will use. 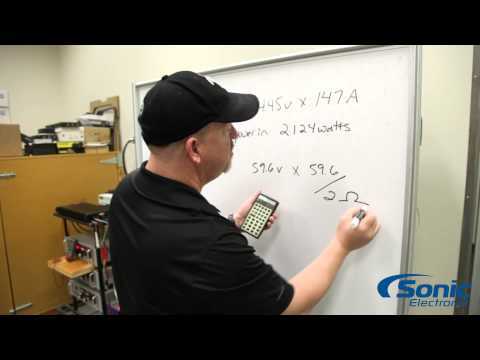 In addition, there is also a creative way of using a common DMM (Digital Multimeter) & Ohm’s Law to establish an AC Voltage Figure to aim for when adjusting the Gain; a quick search for this method will generate a lot of useful information. However, it is important to know that using the DMM method ASSUMES that the figures/variables you use are SPOT ON , which – to be fair – is not likely. This is because the rated figures on an amp are often rounded up/down, and – worse – a lot of manufactures will give overrated figures. So, using this method can be precarious if you the figures aren’t True To Spec. Back What are Bass Restoration Processors? Next How To Strap Two Amps Together, Double Your Power!